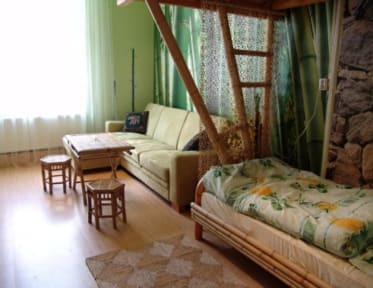 Artharmony Pension & Hostel, Praga, Czechy : Rezerwuj teraz! 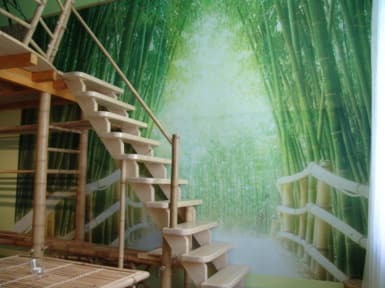 Our beautifully-decorated hostel is in the very centre of Prague. The non-smoking interior is comfortable and cosy, creating a family home atmosphere and not just a stop to sleep. The decor of our themed rooms create a wonderful balance between art and nature, giving all our guests a relaxing, homey place to hang out. We have free Wi-Fi in all rooms. Our multilingual staff can also help you rent bicycles and cars or to book tours and flights. Theres great restaurants next door as well as a brewery house nearby.